Cheese graters are an essential kitchen tool. Different types of cheese graters all serve different purposes, and all of them make grating cheese an easy task. The following overview showcases the pros and cons of five different style cheese graters on the market. Select which one (or ones) work best for you. This is a classic all-purpose grater for both hard cheeses and softer cheeses like cheddar and mozzarella. Most models have a sturdy base, a secure handle on top, and can also grate harder vegetables such as carrots and beets. A box grater typically offers 3 to 4 different grating sizes. Some box graters have a removable storage container that will catch and measure the cheese as you go. The super-fine grating surface does not work well for cheese; it's more appropriate for grating ingredients like whole nutmeg and grating ginger root. Box graters can be a little awkward to hold and might slip while grating. There is also the need to be careful not to grate your finger when the piece of cheese being grated is small. 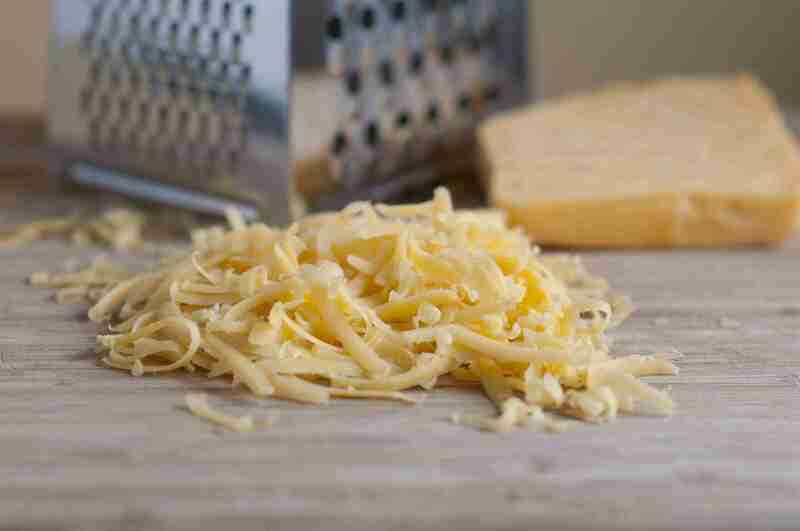 Softer cheeses can get stuck inside the cheese grater and mashed into the holes. This cheese grater is specially designed to grate soft to very hard cheese while still preventing the cheese from sticking to the grater. The Boska brand grater is easy-to-use and store; it's sleek and efficient. The sharp grating surface and the unique non-stick materials, make this grater impressive, practical, and user-friendly. The Boska grater is not quite as versatile as a box grater. This type of grater is harder to find in stores. The microplane grater originated as an excellent smoothing tool for woodworking. It grates hard cheese very finely, resulting in a melt-in-your-mouth texture. It is sleek and easy to store. The design allows for grating in both directions. It's useful for grating parmesan over pasta, either before serving or at the table. Also called a microplane zester, it works well for zesting citrus fruits, garlic, ginger, and grating nutmeg. It's an indispensable, small kitchen tool. It is not appropriate for thicker grating or for grating softer cheeses. This style can be dangerous and might grate your fingertips, especially if you are grating smaller items, like nutmeg. This style is ideal for really hard cheeses, such as grating Parmigiano-Reggiano, Asiago, or Canaria cheese over pasta. The grater can be stored in the refrigerator, with a chunk of cheese inside. Rotary graters can be easier to hold than box graters (which sometimes slip), providing extra leverage to quickly and efficiently grate cheese. It's safer than a microplane grater. It can also be used to grate nuts and hard chocolate. The rotary grater can take up more room in the cupboard, and many are made with two parts. If one part is lost, the grater is useless. Because of its design, it can be trickier to clean. Most food processors come with a grating plate. The food processor makes easy work of grating Parmesan or Romano cheese for toppings on pasta dishes, nuts or coconut for topping cookies and cakes, ginger for adding to spice pastes and seasoning a variety of Asian dishes. It can even be used for horseradish to make horseradish sauce. Ideal for grating cheeses, nuts, coconut, etc. 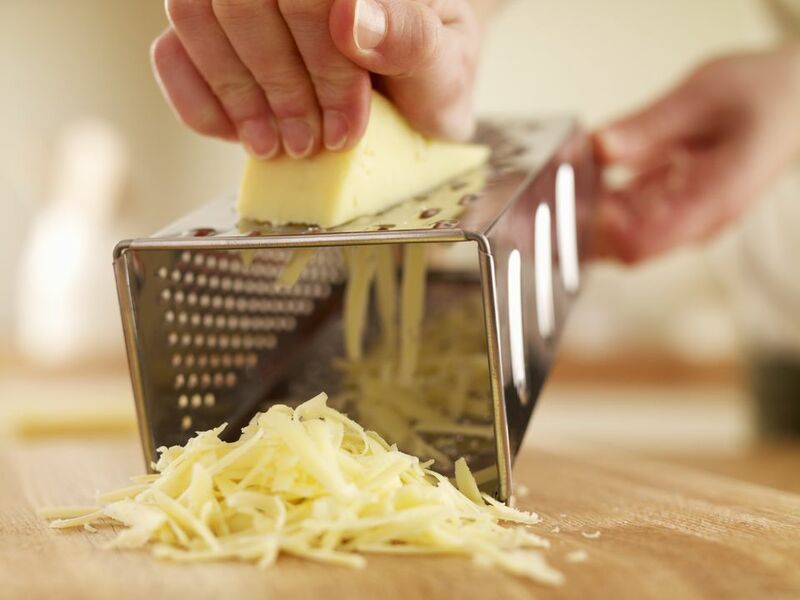 It's the safest way to grate cheese; don't even worry about scraped knuckles. A food processor is an easy way to shred and grate large amounts of cheese, both hard and soft. For those who don't already have a food processor, it's not worth buying one just for grating cheese. It's not as convenient for grating small amounts of cheese. Do You Need a Food Processor or a Chopper? Why is a Tamper so Important in Making Espresso?